WELCOME – and thank you for visiting my website. Sweets and Toxins, a selection of twelve of my short stories, was published by Dalkey Archive Press on 20 November 2018 and is available from all fine bookstores. The Irish Times books page (online) kindly asked me for a piece on ‘why I write’ and the resulting article can now be seen by clicking on Irish Times: Why write? in the sidebar. 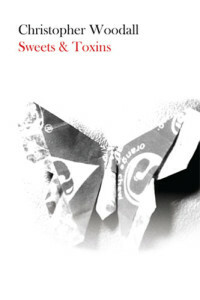 ‘Lying to be Cruel’, one of the stories in Sweets and Toxins, was included in Best European Fiction 2019 (edited by Alex Andriesse), published by Dalkey on 14 December 2018. 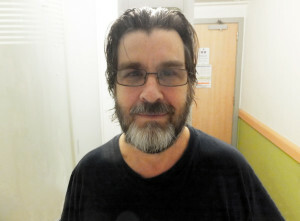 ‘Midnight’s Orphans’, a one-off story tangentially relating to Brexit, was published on 12 October 2018 by Berfrois.com. See under ‘Stories’ in sidebar. November, my debut novel, was published by Dalkey Archive Press in December 2016. For a synopsis, excerpts, reviews and interviews, please click on the sidebar under ‘November’. 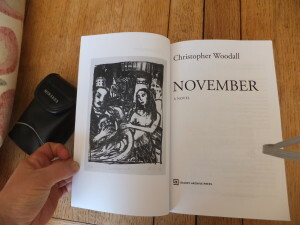 Please note that an e-book version of ‘November’ is now available. By clicking the button below you authorise me to store your email address securely. If you change your mind or have any questions, please contact me at xjw@christopherwoodall.org. I will never share or sell your address.